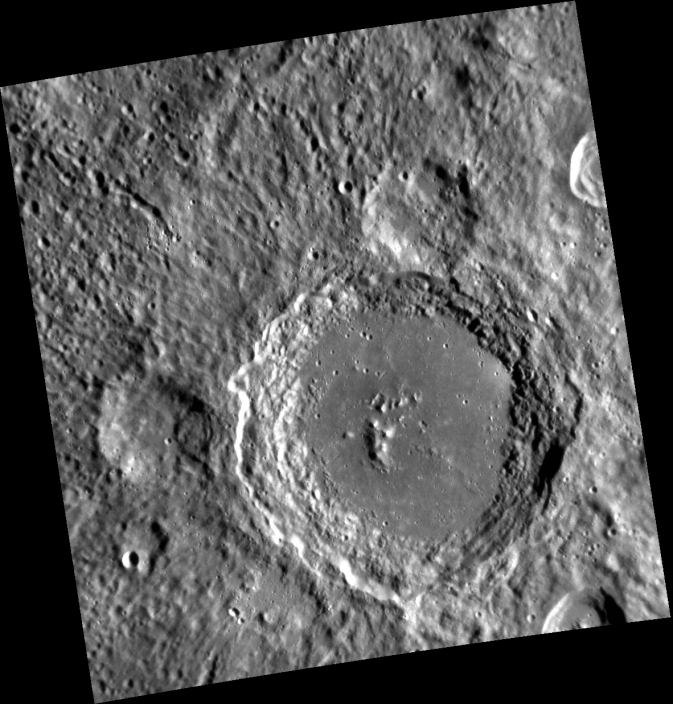 Mercury’s Lennon crater as seen from NASA’s MESSENGER spacecraft in January 2013. 33 years after his death, John Lennon’s name has been officially given to a crater on Mercury. Imagine that. The 95 km (59 mile) wide Lennon crater is one of ten newly named craters on the planet, joining 114 other craters named since NASA’s MESSENGER spacecraft’s first Mercury flyby in January 2008. It’s unlikely that Mercury’s surface is populated with tangerine trees and marmalade skies, but the famous British musician who coined that phrase now has a physical presence on the planet closest to the Sun. The International Astronomical Union (IAU) has named an impact crater on the planet after John Lennon, the British pop music sensation who helped make The Beatles the most popular group of their generation.